The NC-4 became part of the Smithsonian collection in 1927. 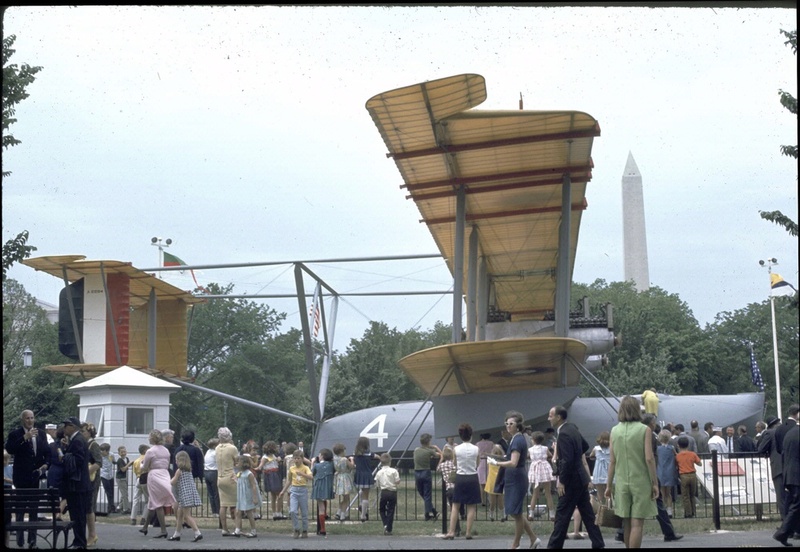 The Smithsonian acquired NC-4 from the Navy in 1927 and displayed it on the National Mall in 1969 for the 50th anniversary of the transatlantic flight. The aircraft is now on loan to the National Museum of Naval Aviation in Pensacola, Florida. National Air and Space Museum, Smithsonian Institution (SI 2000-9530).